Fabric Kit and Instructions for 19" x 22" Wall Quilt using Hand Applique with Traditional Japanese Sashiko. Includes sashiko thread and needles. A Sylvia Pippen Design. 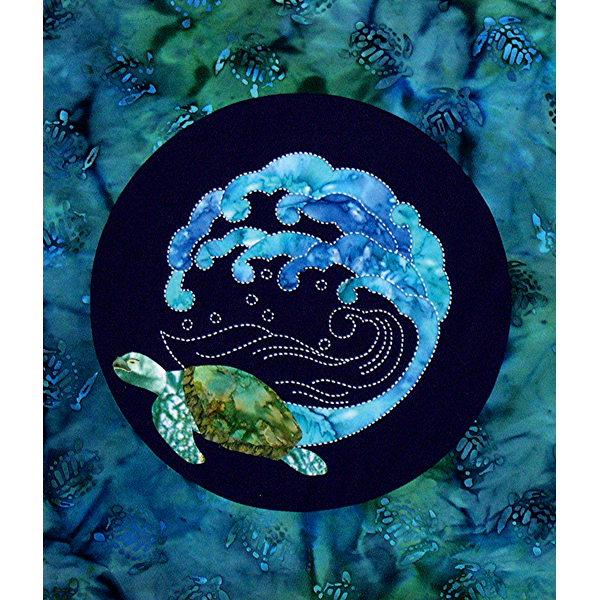 Honu Sea Turtle & Wave.